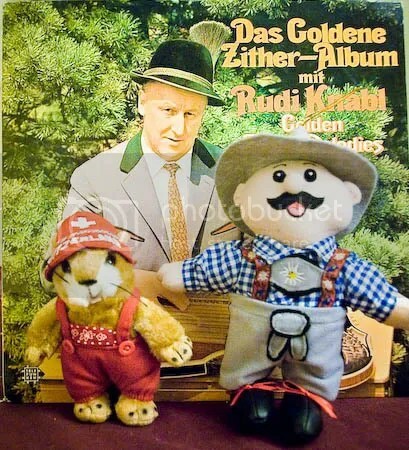 Our little helpers, Adolf Schtrumpfzli und Murmel Rüedi wish to yodel you a happy new year. Here’s their picture but you’ll soon have the big movie with their friend Nessie as well. 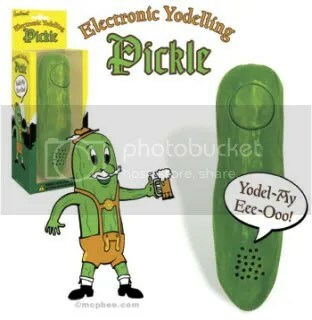 A quick post this week: surfing on the internet, I found the Yodelling Pickle, a totally stupid and unecessary object, but that inspired some people to make youtube clips. And yes ! It yodels ! You are currently browsing the archives for the yodeling objects and puppets category.